“For Glencore International, it is time for Plan C. Xstrata put the kibosh on Plan A when it refused to consider a merger with the commodities-trading giant that would have enabled Glencore partners to realize the full value of their 34.5% stake in the miner. Investors now have ruined Plan B by refusing to accept Glencore’s ambitious $60 billion-plus valuation target, which might have allowed a quick post-IPO merger. Glencore has been forced to lower its target and must prepare for a long spell in the public markets. 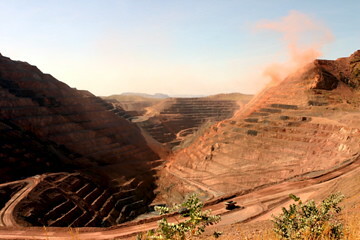 The commentators from Wall Street Journal argue that the uncertainty of a potential merger with Xstrata and the politically sensitive nature of Glencore’s mining assets forces the company to offer the shares at a strong discount in the Initial Public Offering (IPO), raising less cash than previously hoped. Glencore is going public to facilitate further growth ambitions. In its current private structure it can not raise sufficient money for further growth. Merging with Xstrata would be an other way to solve this problem, but this requires putting a value on Glencore to decide on the new ownership structure, something Xstrata’s management and shareholders clearly are not willing to do. Shares are typically sold at a discount in an IPO, encouraging investors to take a share of the company and realize a paper profit in the first days of trading. However, if shares indeed go up strongly in the first days of trading and market value of Glencore reflects intrinsic value correctly, the WSJ-commentators’ prediction of a difficult negotiation with Xstrata because of skewed valuation does not hold. With current high commodity prices a large part of Glencore’s profit comes from its industrial assets, rather than from trading activities. Citi expects the industrial share to be as high as 60% in the next years. A relatively higher importance of production vs. trading in the company could make integration of Glencore with Xstrata and/or other mining companies smoother. “2015: Based on favorable demographic trends and continued liberalization, the growth story for emerging markets was accepted by almost everyone. However, much of the economic activity in these markets was buoyed by cheap money being pumped into the system by Western central banks. Commodities prices had acted as a sponge to soak up the excess global money supply, and commodities-rich emerging economies such as Brazil and Russia were the main beneficiaries. High commodities prices created strong incentives for these emerging economies to launch expensive development projects to dig more commodities out of the ground, creating a massive oversupply of commodities relative to the demand coming from the real economy. In the same way that over-valued property prices in the US had allowed people to go on debt-fueled spending sprees, the governments of commodities-rich economies started spending beyond their means. They fell into the familiar trap of borrowing from foreign investors to finance huge development projects justified by unrealistic valuations. Oliver Wyman, the international consulting firm, recently published a report in which it describes ‘the avoidable history’ of the next financial crisis. It foresees a bubble of commodity prices, caused by cheap money supply to developing countries in reaction to increased regulation in the developed world. Wyman lists a number of prevention measures that should help to prevent the scenario sketched above from happening, removal of subsidies and scenario planning for development decisions being the most applicable to the mining sector. The factors Wyman does not include in its analysis are the long development lag of natural resources projects, causing supply to trail demand changes by several years, and competitive dynamics in the industry. Both factors might eventually strenghten the effects described, but a burst 2015 might be a too aggressive timeline. Careful analysis of the sustainability of demand growth in Asia, in particular in China, is crucial for the investment decisions for long term projects in all mining firms, not only the companies that have Chinese customers. Once Chinese demand slows down the global fulfillment dynamics will change, making the low cost suppliers (totalling production and transportation costs) survive. One big risk with a key customer is that its appetite wanes. Another, less obvious one, when it comes to China is its effect on the supply side. Using various investment funds, banks and state-controlled companies, China has invested in building production capacity across the world. Not only in Africa, but also in Australia and Asia the Chinese are building a supply foothold. WSJ’s Denning argues that the increase of production capacity caused by the Chinese investments will eventually lead to overcapacity and thus to decreasing commodity prices. The potential oversupply created by Chinese investments is certainly a long term issue. Most investments in the mining industry do not lead to output in a period shorter than 5 years. Many things can happen to the demand in that period. Apart from the need to build capacity to satisfy the demand increase, the surge in investments in exotic places is driven by the decreasing ore quality of the average new mine. Companies need to mine lower grade ores in more extreme places. As the investment required per ton of output increases, the investments will not necessarily increase supply at the same levels as demand. As long as China grows at 10% per year, it is going to be very hard to keep up in terms of production.